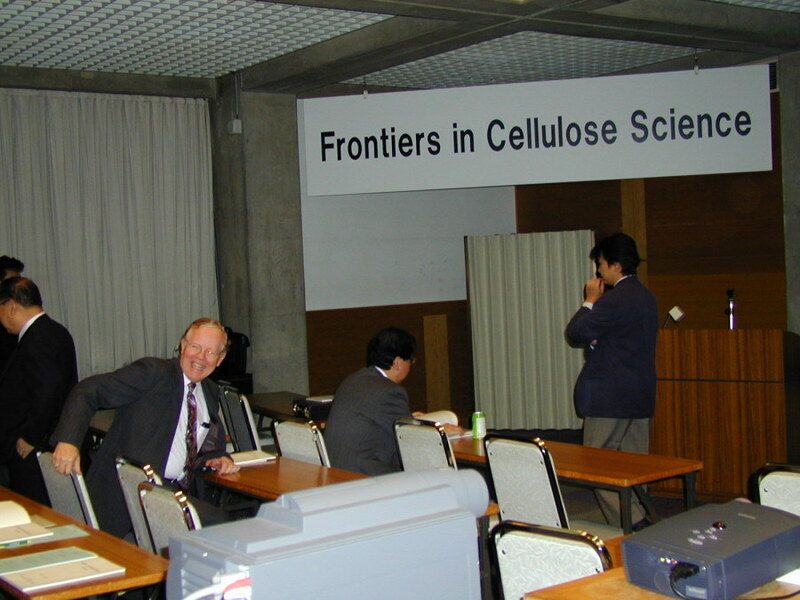 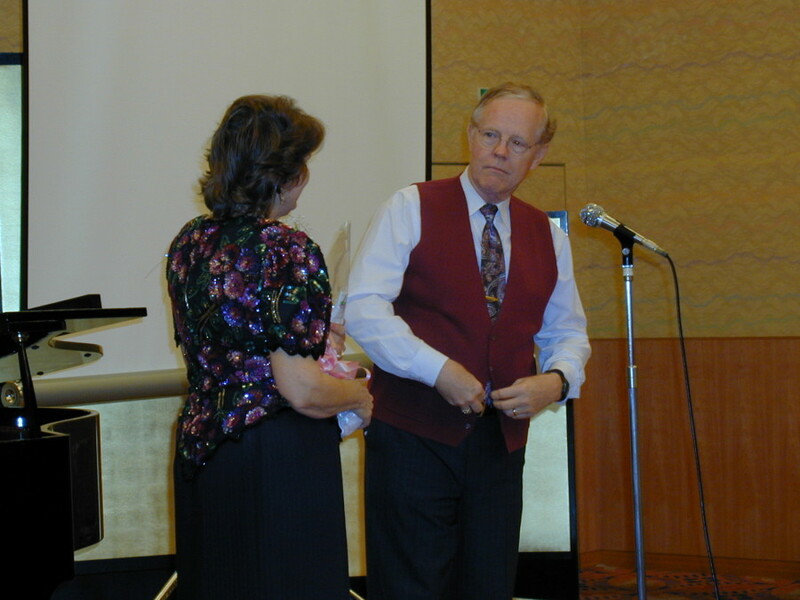 Here is Malcolm in November, 200 attending the symposium given in his honor, "Frontiers in Cellulose Science" at Kyoto, Japan. 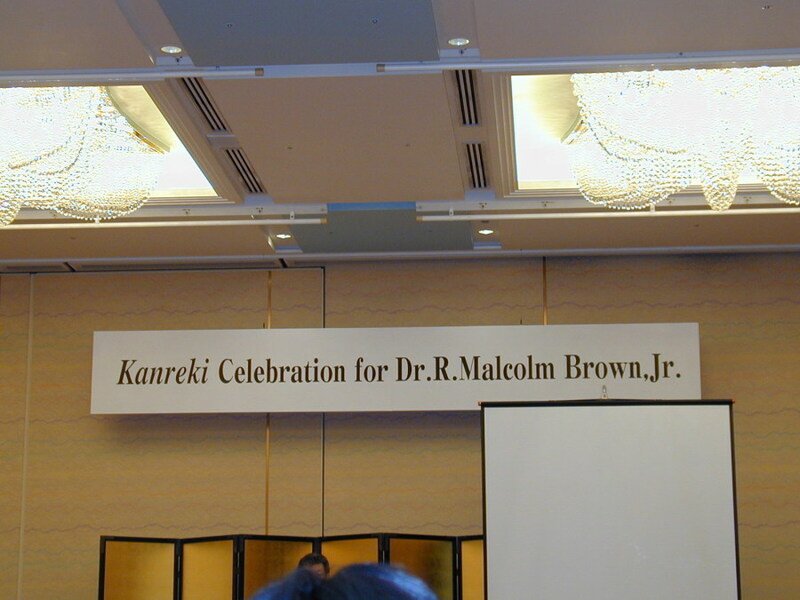 After the symposium, a "Kanreki Celebration" was held in Malcolm's honor. 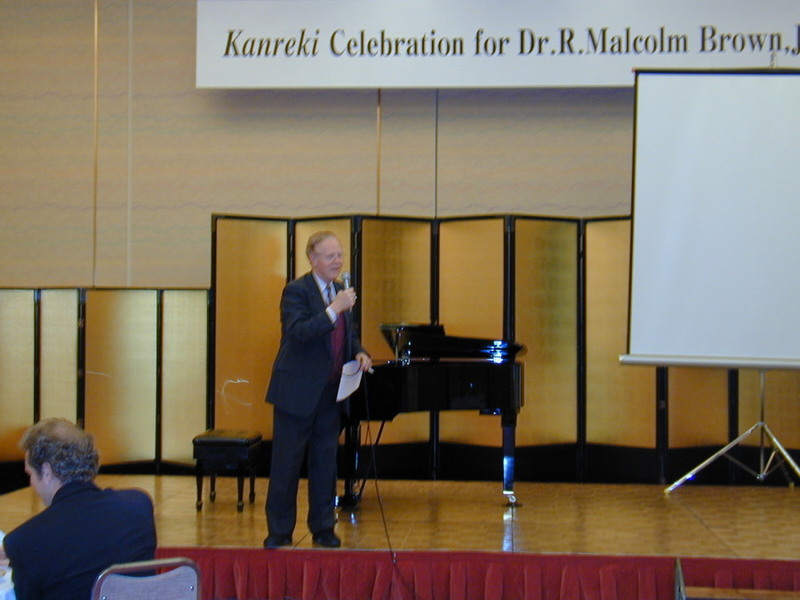 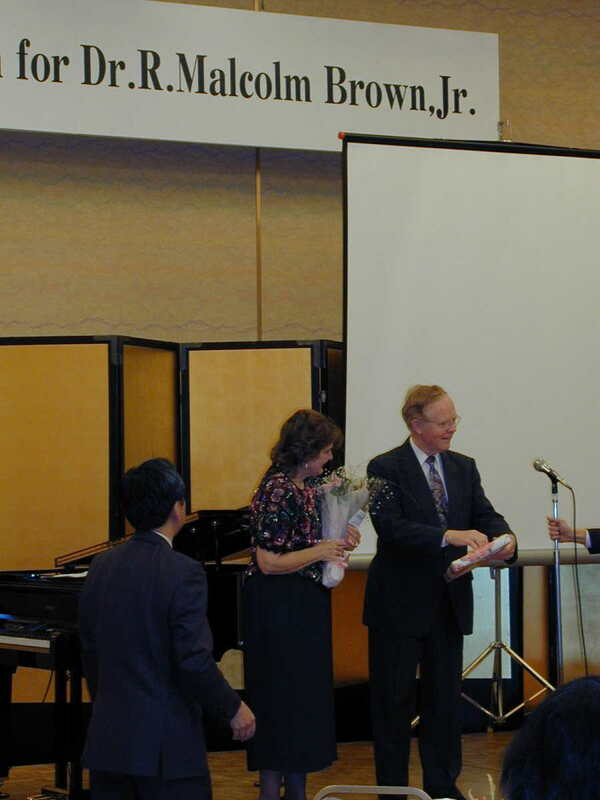 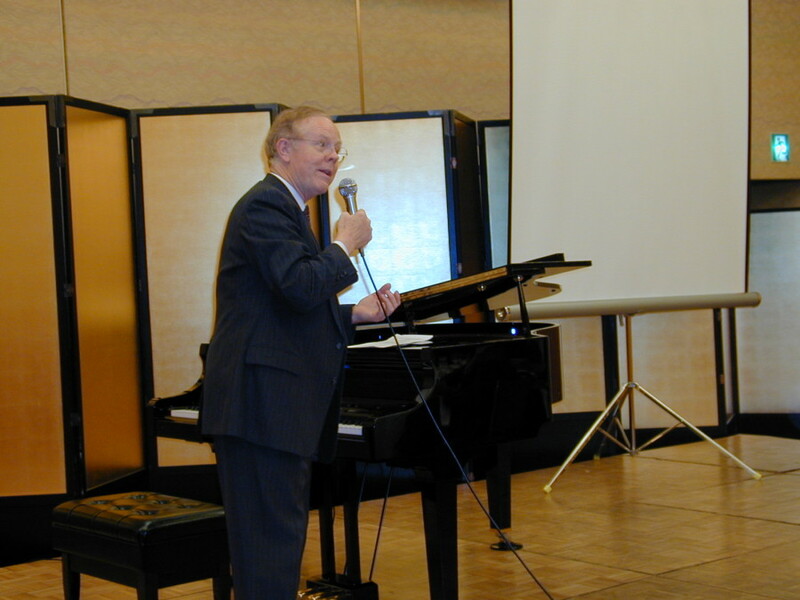 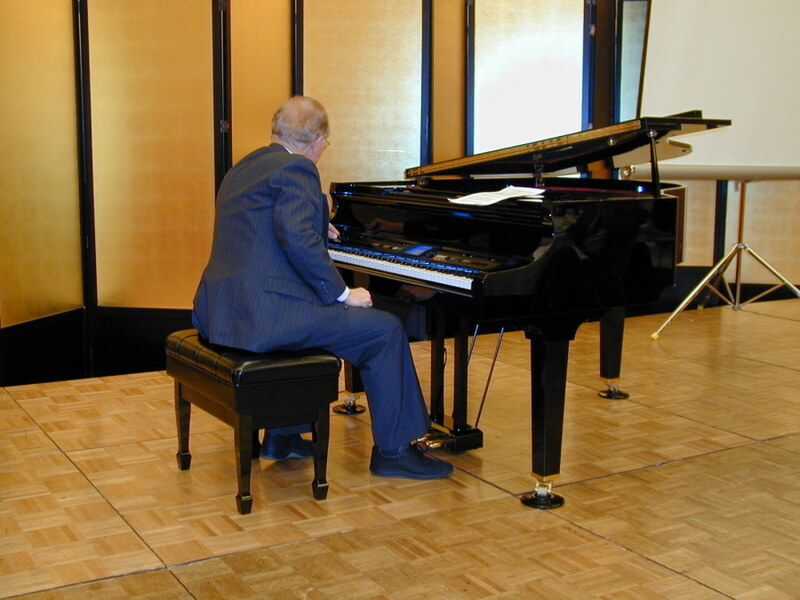 Mr. Kakehashi was invited to attend and he donated a Roland Digital Electronic Grand Piano for Malcolm to play at this ceremony. 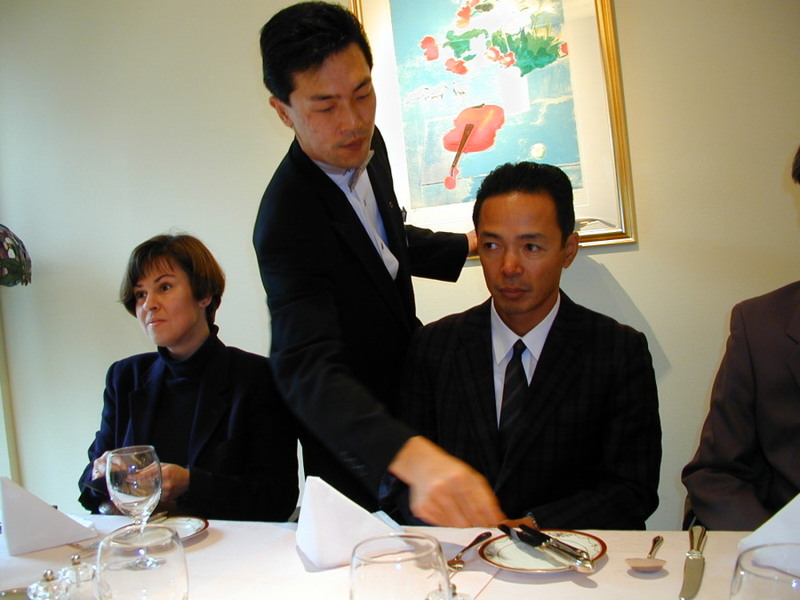 Keiji Takabe being served lunch during the symposium. 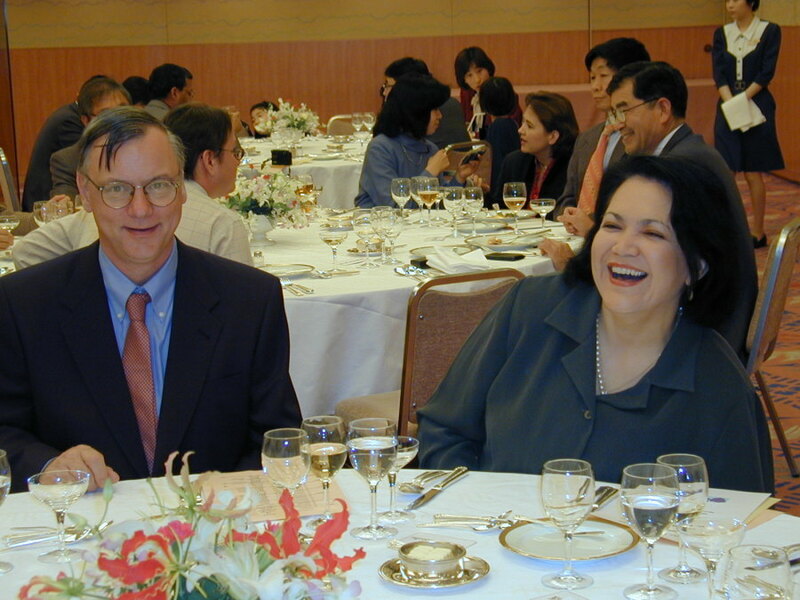 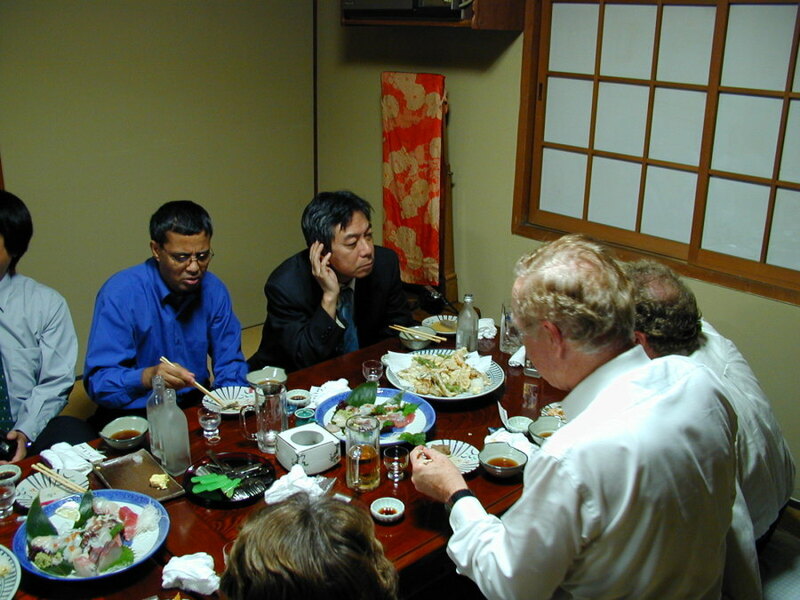 A nice Japanese meal held for Malcolm's family and his UT friends who attended. 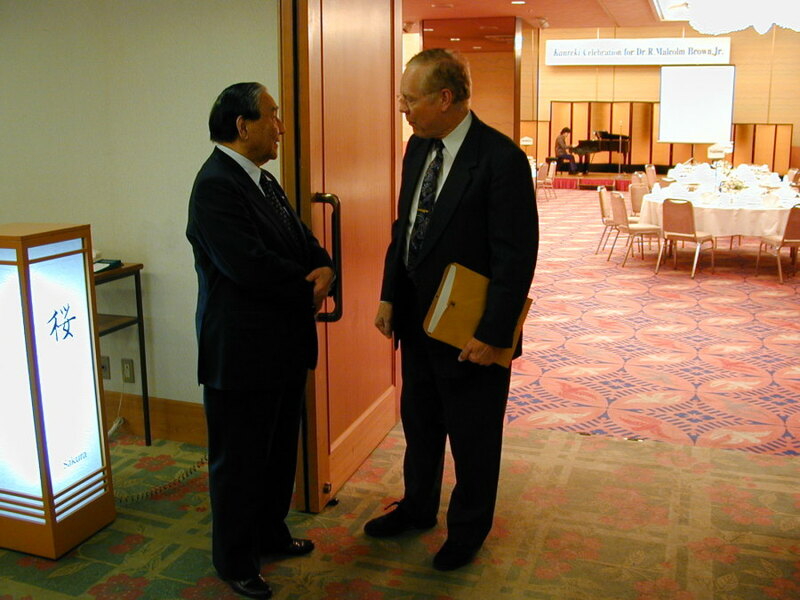 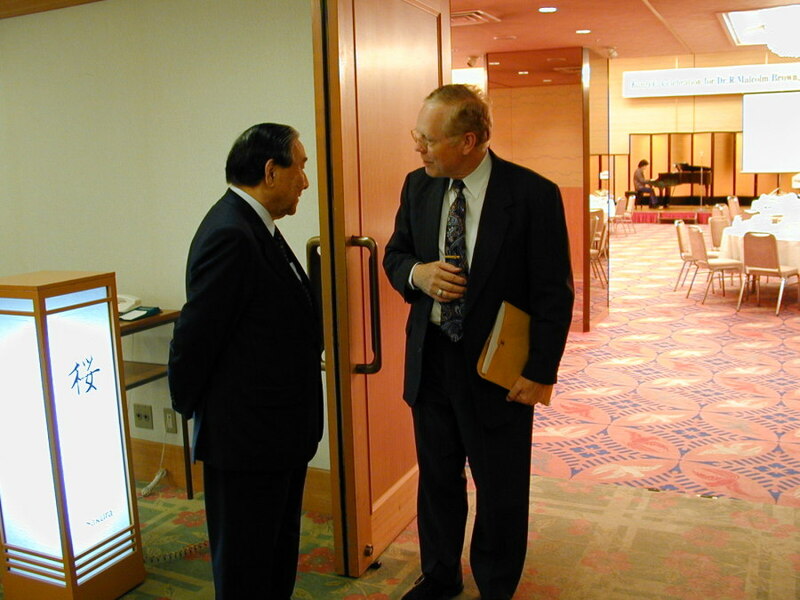 Here Malcolm greets Mr. Kakehashi just before his Kareki. 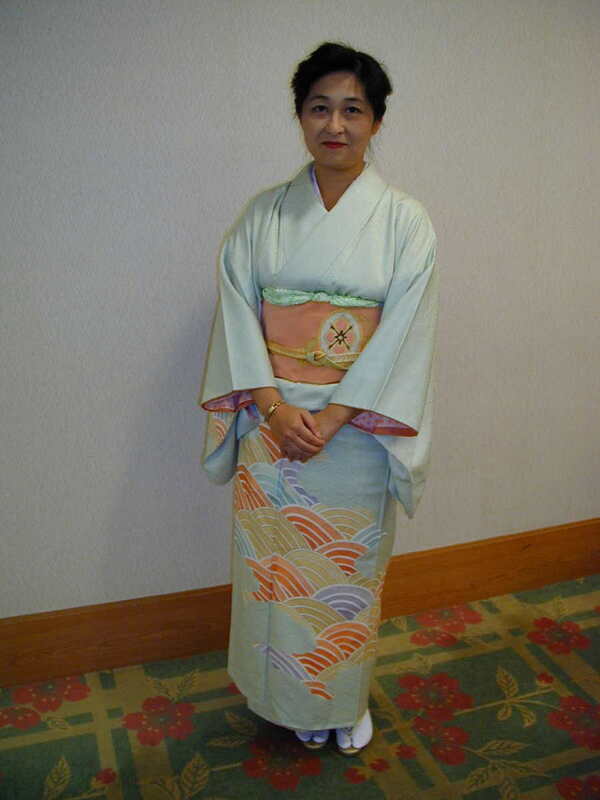 Here is Dr. Chie Sawatari in her Kimono. 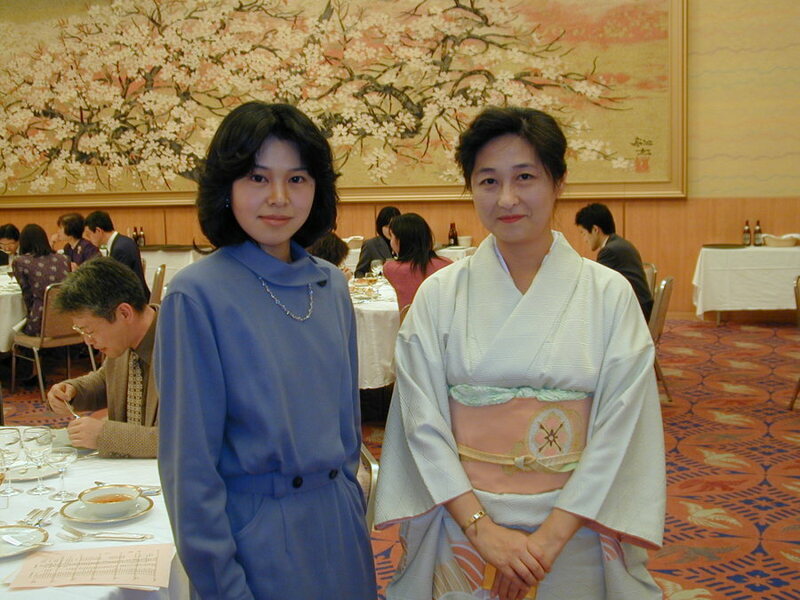 Her mother owns a Kimono shop. 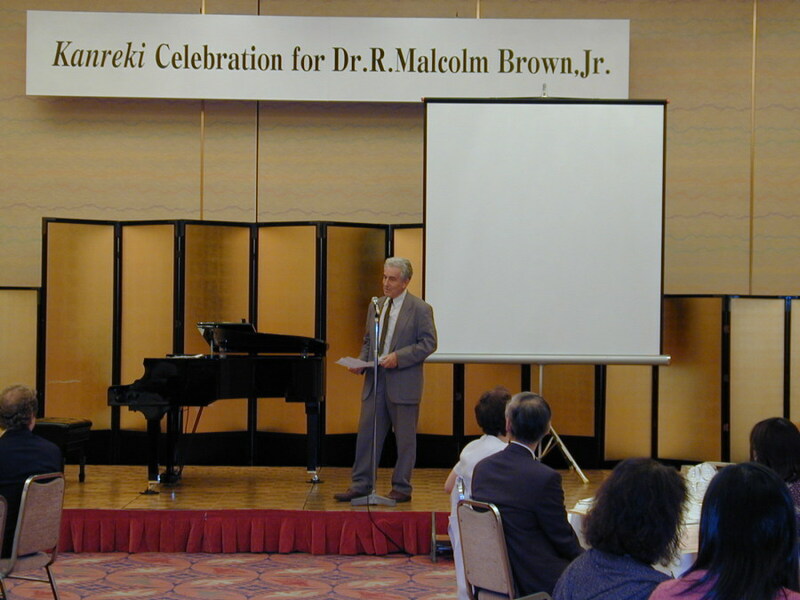 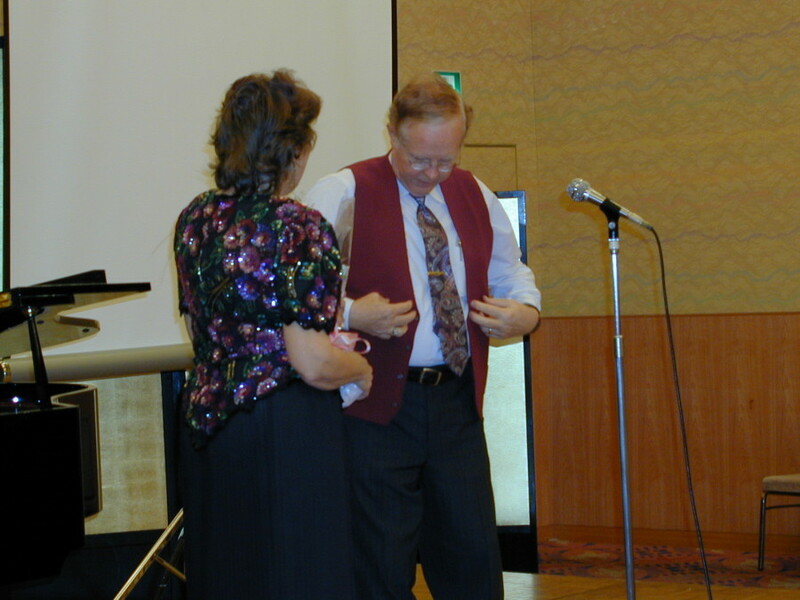 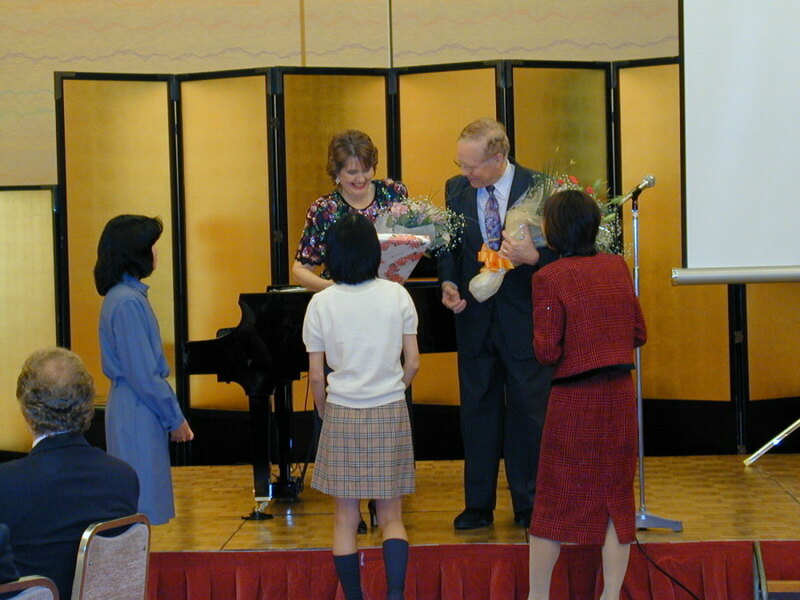 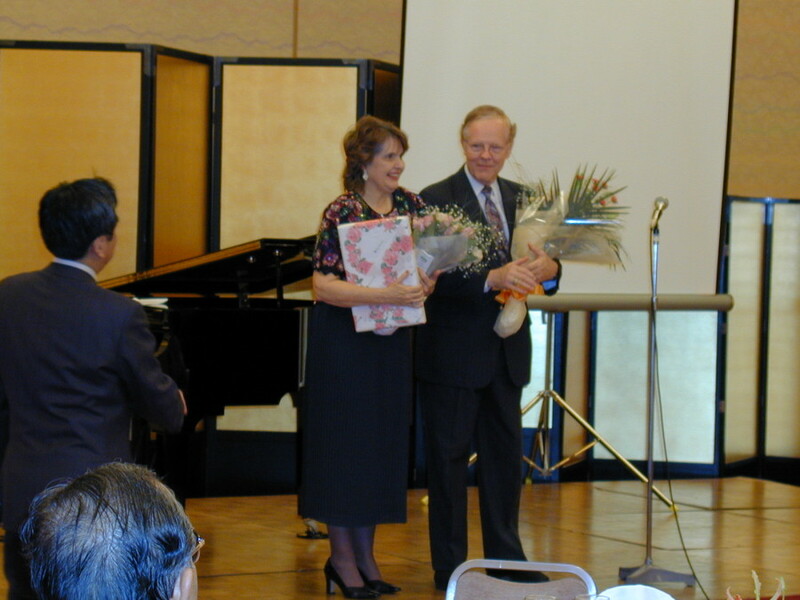 Scenes during Malcolm's Kanreki in Kyoto in 2000. 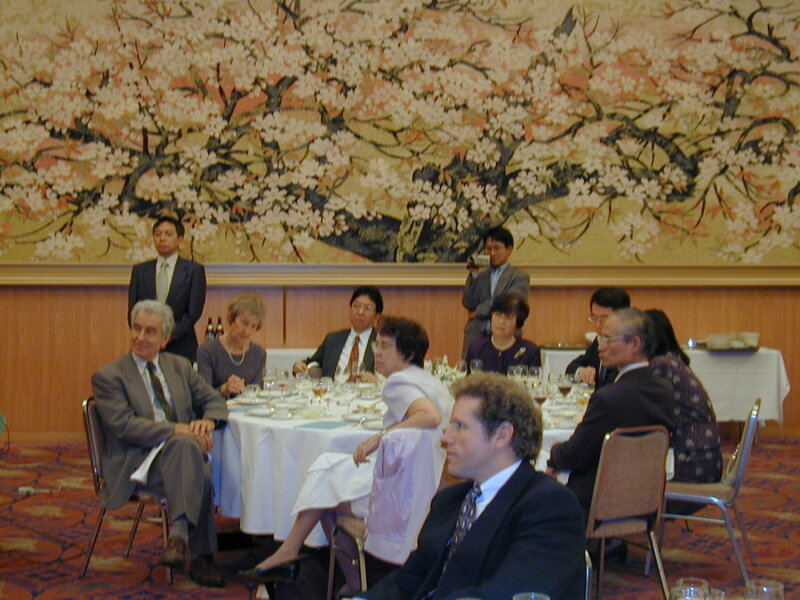 Dr. Chanzy and his wife, Mariette, Dr. Deborah Delmer, Dr. Vincent Chaing, Dr. and Mrs. Horii ,and Dr. Shiro Kobayashi. 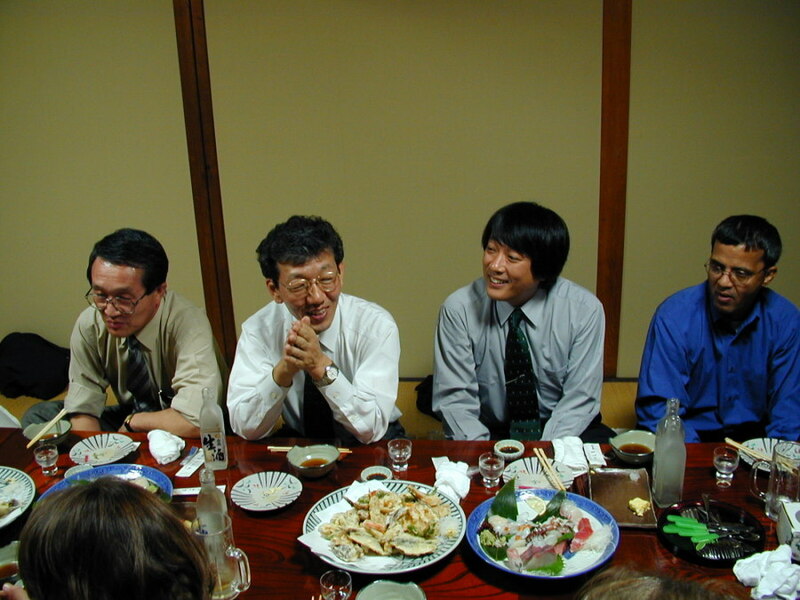 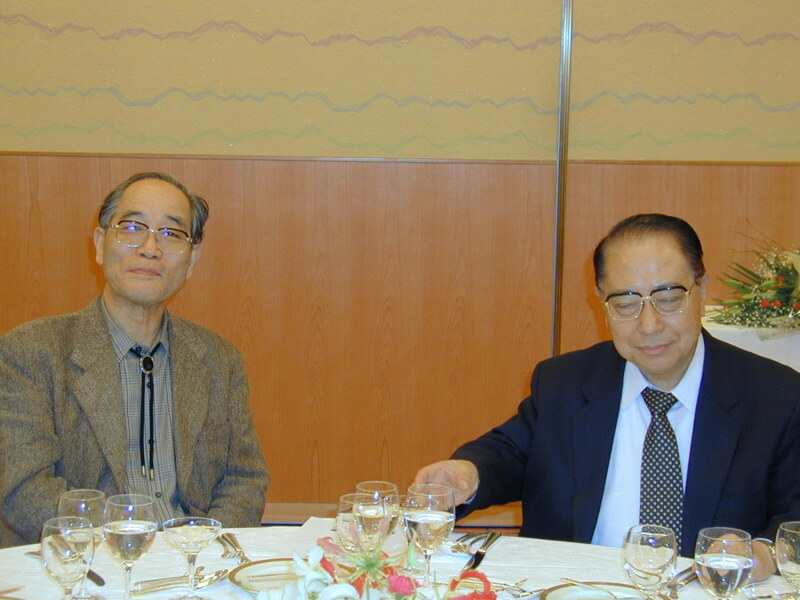 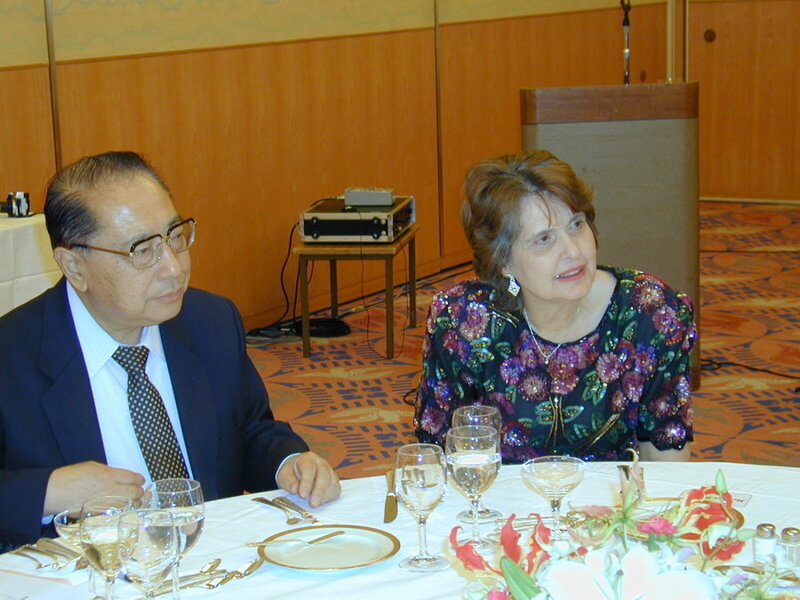 Dr. Shigenori Kuga, left, standing. 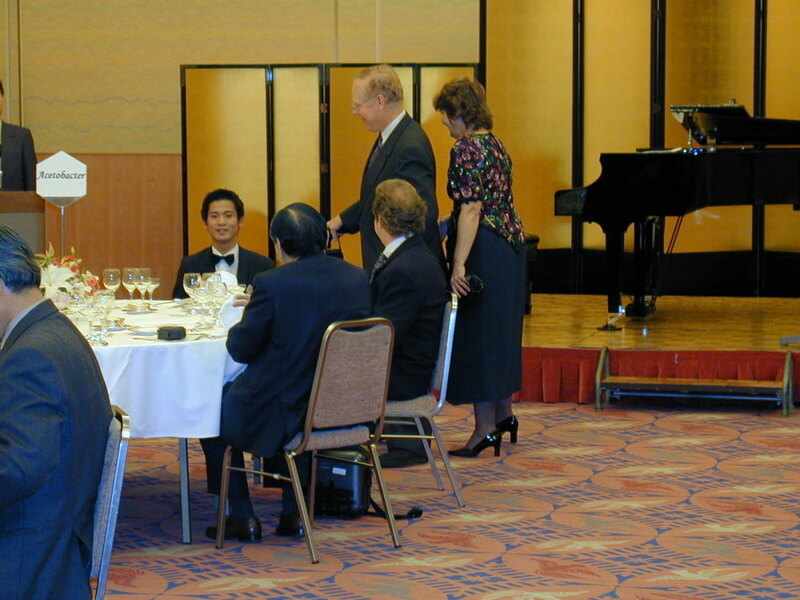 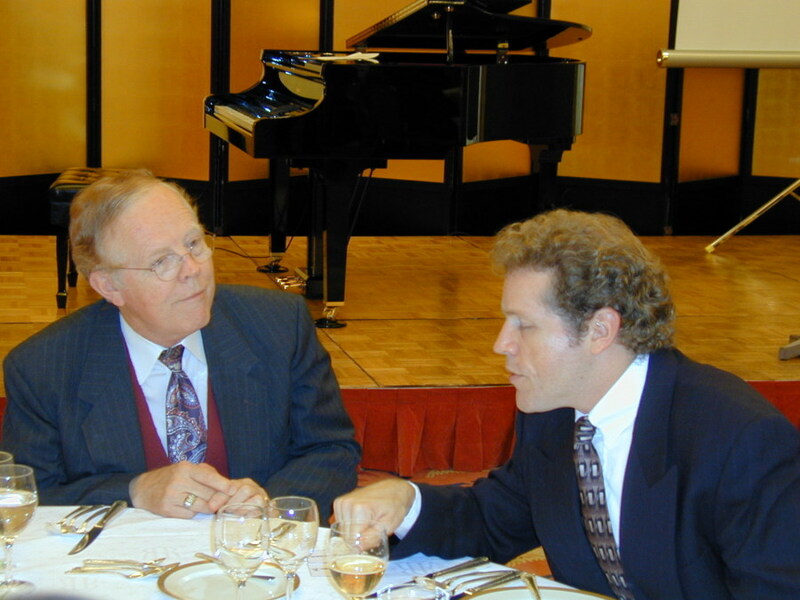 David Brown, foreground table.